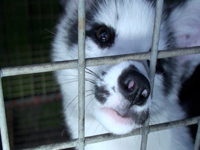 Animal Defenders International : Fur : Take action to stop the horrific fur trade in the US! Take action to stop the horrific fur trade in the US! ADI applauds legislators in Hawaii and California, who in January 2019 introduced state measures to end the horrific fur trade in their states. Numerous designers, including some based in the US, have already committed to going fur-free in recent months in response to consumer demand for cruelty-free fashion. Legislators too are moving with the times. In California, Berkeley, San Francisco, and West Hollywood have already outlawed the sale of fur, and Los Angeles will now join that list. On February 12th 2019, the Los Angeles City Council voted 13-1 in favor of a ban on the sale and manufacture of fur in LA from 2021. Previously, on February 6th, the LA PAW Committee voted 2-1 to approve the ordinance. On January 24th, California Assembly Member Gonzalez introduced AB273, to ban trapping for fur and the sale and manufacture of fur products statewide. The bill has since been referred to the Water, Parks, and Wildlife Committee. In Hawaii, Senators Gabbard, Chang, Harimoto, Ihara, Ruderman, and Shimabukuro introduced SB1350, to ban the sale and manufacture of fur products statewide. SB1350 passed its first reading in the senate on January 24th, and now goes to the House Committee on Consumer Protection & Commerce and the House Committee on Judiciary. In California, support AB273 - find your CA legislators here. Find members of the Assembly Water, Parks, and Wildlife Committee here. In Hawaii, support SB1350 - find your HI legislators here. Find members of the House Committee on Judiciary here and members of the House Committee on Consumer Protection & Commerce here. You can also submit written testimony in support here. For more ways to get involved, click here.